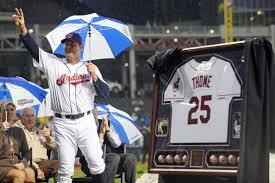 Jim Thome Statue Really?? Really?? This entry was posted in Cleveland Indians and tagged Cleveland Indians, Jim Thome, Podcast on 08/03/2014 by withanohiobias.